Selection and design of all items for the construction or renovation of a home, including kitchen and bath fixtures, cabinetry and appliances, stone, tile and flooring, hardware, lighting, etc. There’s no doubt that a good interior designer should be creative. However, creativity is only one part of the process. Clients are best served when their interior designer is business savvy and is able to take the lead to navigate the management of the project. At Leslie Fine Interiors, our focus is to act as the liaison between the client and the other project team members to ensure the successful execution and completion of the project. At every step of the way, Leslie is on top of all of the details, and through constant communications via face to face contact, site visits, email communications and documentation with the clients and all of the trades involved, she ensures that all decisions and action items are coordinated and thoroughly reviewed and are in the client’s best interest. Kitchens are the heart of every home, and having a beautiful kitchen with a functional layout, the latest appliances and gadgets and fabulous cabinetry, stone and backsplash materials is, without doubt, the dream of most homeowners. Leslie will lead you through the whole process, including space planning and guidance to make all of the necessary selections. We will coordinate the whole process – from inception to installation – and allow you to realize your dream kitchen! 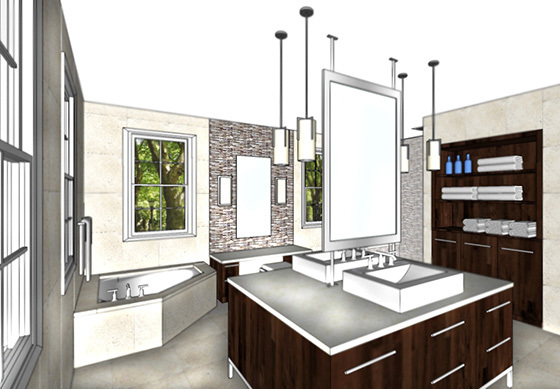 With many award-winning bathroom renovations in her portfolio, Leslie enjoys designing luxury bathrooms and creating spaces that are rejuvenating and beautiful and reflect her clients’ aesthetic preferences. 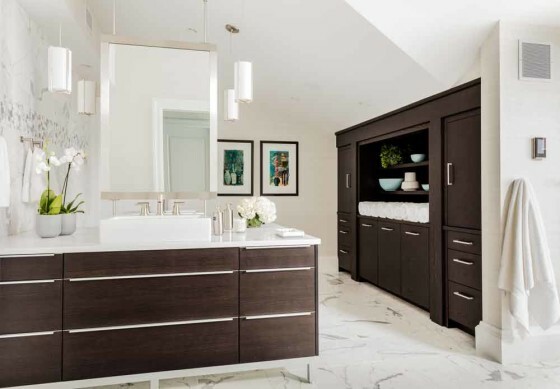 She creates bathrooms that are smartly configured with an emphasis on function, storage and comfort. With so many wonderful materials and plumbing fixtures available to chose from, she guides her clients through the selection process and ensures that they, too, will enjoy having a bathroom that is worthy of an award! 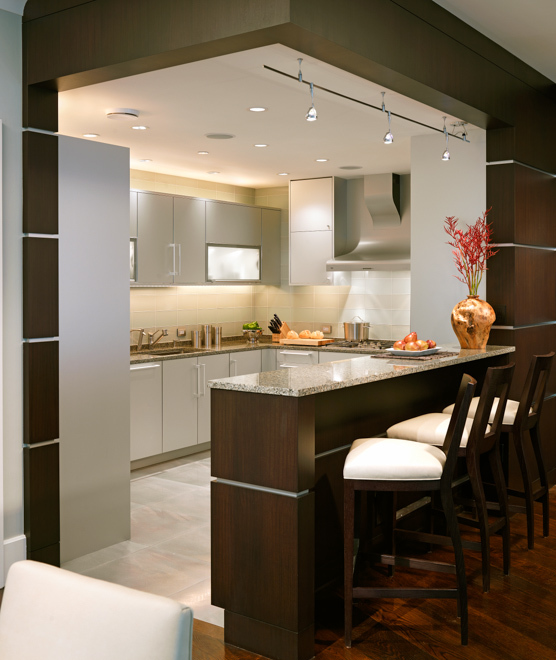 At Leslie Fine Interiors, our designers are well versed with the latest technology in the design industry. By utilizing various computer aided design programs, we can easily and clearly assist our clients in envisioning the designs before they are executed. 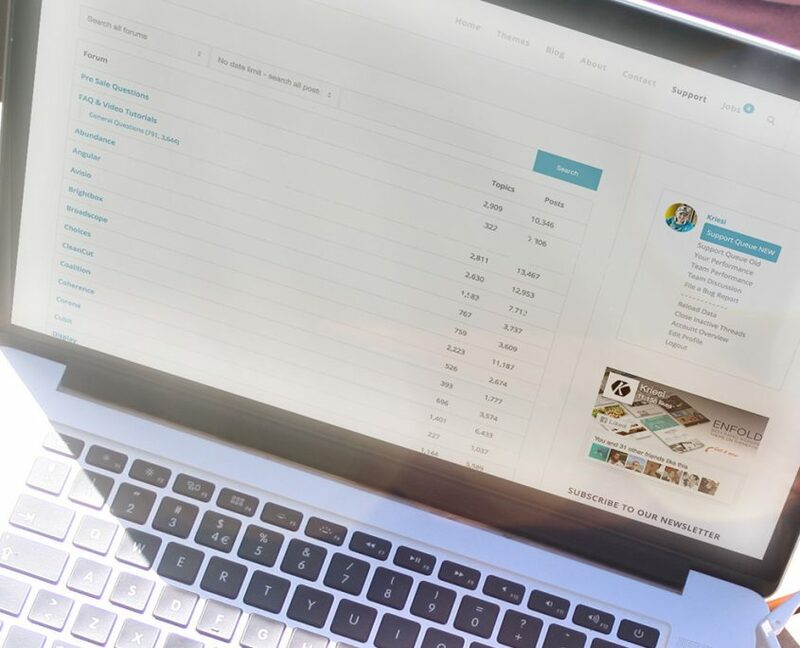 These programs allow us to make changes and alterations so that our clients can work with multiple options before committing to a particular design. We are excited to announce that we have launched another division of Leslie Fine Interiors, Inc. Leslie serves as a consultant to interior designers who are either just starting out or who have been in business but want to reach the next level. With her over twenty years of experience in building her business into a luxury brand, Leslie is committed to share her expertise with others.